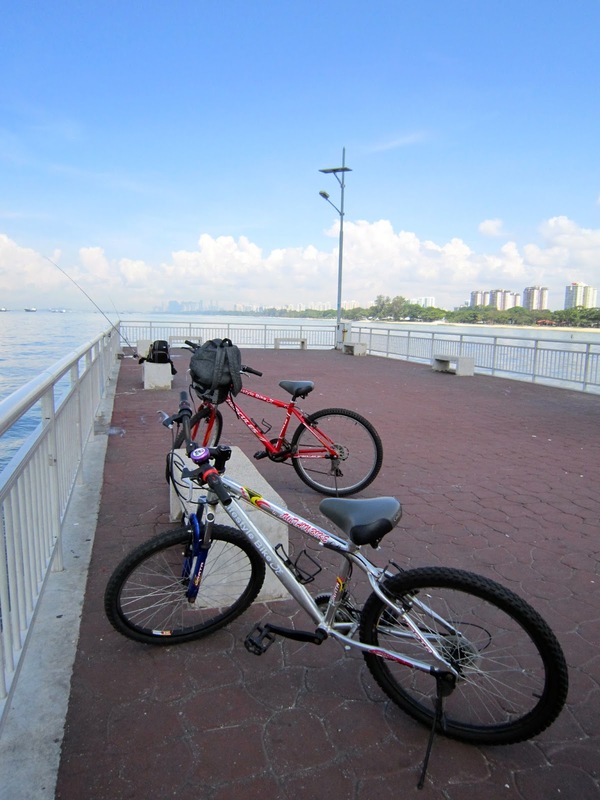 Today we cycled further and discovered more areas of East Coast Park! While cycling, we stopped a few times to take some photos. Here is Shunann with a giant sandcastle. 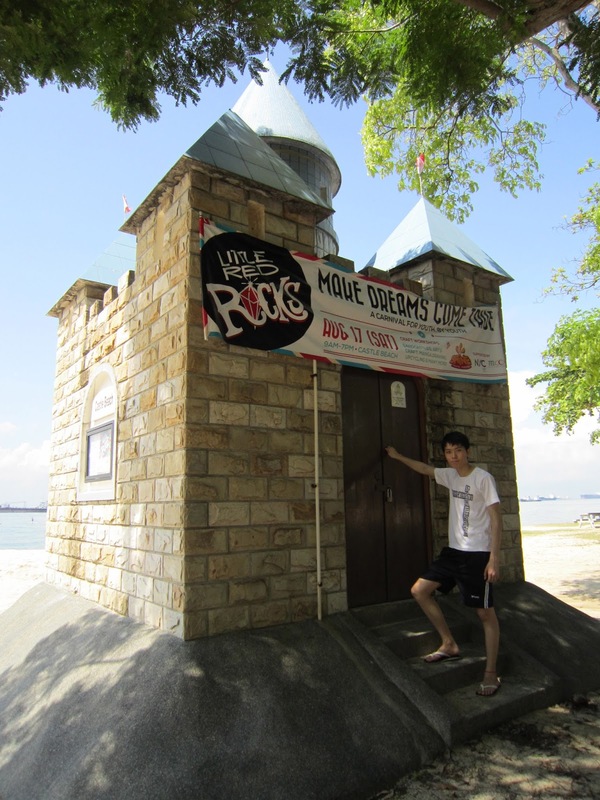 At the side, there was this huge pile of sand and Shunann took a photo of me. Afterwards, we reached the jetty. And this is our bikes, mine's the shorter one and his bike is the one carrying all our stuff. At the jetty, there was quite a few fisherman and it was quite interesting. The scenery looks very pretty and the clouds look very puffy. While trying to take photos of ourselves, some random cyclist offered to help us take a couple shot, yay. But it was really sunny. Towards the end of the route, we stopped to take a jump shot each. 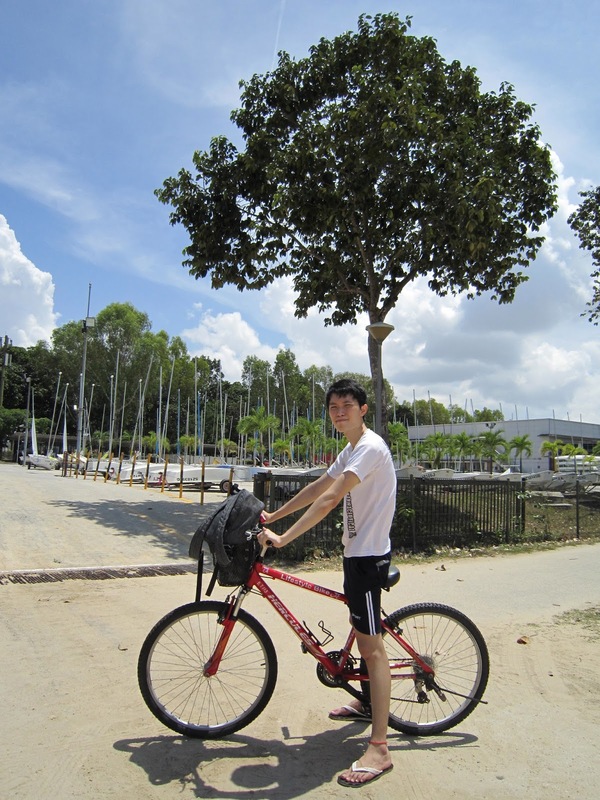 While cycling back, we cycled pass a boat area. I think that we should go sailing one day. Meanwhile, snapped a photo of Shunann and his bike. Lastly, we ate at Burger King. It was delicious, especially the bacon and the barbecue sauce inside.